These are links and information about the articles and resources I refer to in various articles on school – whether you are starting, surviving or thriving at school! Note: this bibliography is a work in progress. I’d love to hear about what you have read and found useful – please make a comment below! And check back, if you are interested, for new references which I will post as I find them. I have used symbols to link to points made in articles as I use the same reference in different articles. What adult cares about me? Will I get to play? Reporting a study led by Dr Julie Turner-Cobb of the University of Bath – measuring children’s cortisol levels at the start of school and six months later, and as a base-line measure, six months before starting school. The researchers were surprised to find that the cortisol levels were high at the “baseline” measure. According to this report of the research, they surmised that high level of anxiety six months before might be associated with parental anxiety about school start. (However, when I followed up the research, I couldn’t find any direct reference to this – it might be there somewhere, or might have been an opinion offered in a Press Release or interview). They were also surprised to find that 6 months into the school year, extroverted kids were more stressed than introverted kids. They wondered if this was due to the extra challenge that these children might face “fitting into” the school environment: according to Dr Turner-Cobb “possibly because their more impulsive nature gets them into more confrontational situations”. These memories are what scientists call “implicit memories”: memories which are encoded “in circuits of the brain which are responsible for generating emotions, behavioural responses, perceptions and probably encoding of bodily sensations” says child psychiatrist Dr Dan Siegel. He goes on to say that we are often unaware that the internal experience we are having is generated from something in the past. We have a strong feeling (it is often a sense of being “flooded” by the feelings), but we don’t have any clear sense that it is coming from something that happened to us (probably long ago) which has been triggered by a current experience. 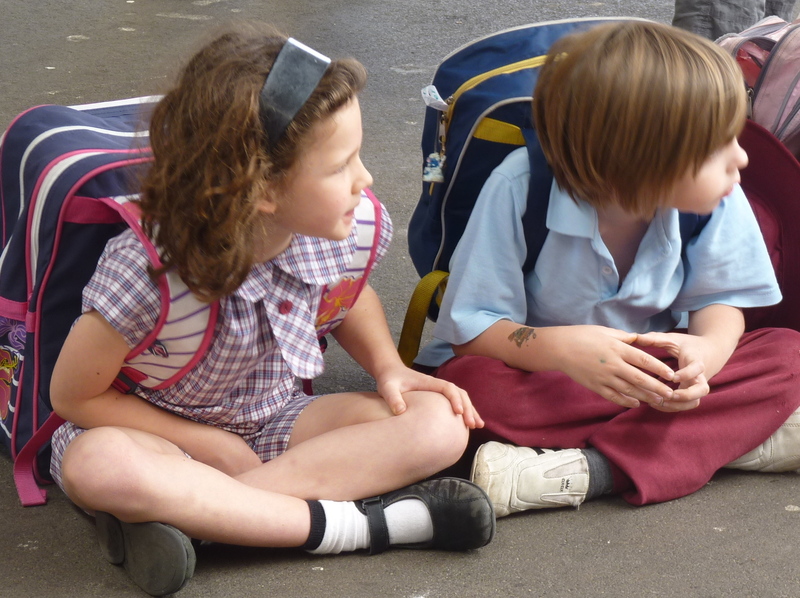 The “right” age to start a child at school is a regular topic of debate, both here and overseas. In Australia, depending on their birthday, children can start as young as four, and must commence school in the year they turn six. Academic experts in the UK have “advocated an extension of informal, play-based pre-school provision and a delay to the start of formal ‘schooling’ in England from the current effective start until the age of seven”. In this article, David Whitbread, of the Cambridge University Faculty of Education, makes a strong argument for starting school later. Medina, J. (2009). Stress – Rule #8: Stressed brains don’t learn the same way. In Brain rules: 12 principles for surviving and thriving at work, home, and school (2009 ed., pp. 169-195). Seattle, WA, USA: Pear Press. “Family participation in education was twice as predictive of students’ academic success as family socioeconomic status. Some of the more intensive programs had effects that were 10 times greater than other factors. “The more intensely parents are involved, the more beneficial the achievement effects. *3 Adults that make sense of their own stories are better able to connect with their children. Inside Out [Motion picture]. (2015). USA: Pixar Animation Studios/Walt Disney Pictures. Web: http://movies.disney.com.au/inside-out. This film is quite lovely – though perhaps the finer points of neurobiology might be lost on the average 11 year old. It is set in the mind of a young girl, Riley Andersen (Kaitlyn Dias), where five personified emotions—Joy. Sadness, Fear, Anger, and Disgust —try to lead her through life as she moves with her parents to a new city. It explores how memory is made and maintained, and how personality is formed and changed through the influence of emtions. Riley’s personality has several foundation “islands” – family, goofiness, her love of hockey, which are shaken by the challenge of moving cities, and growing up. Medina, J. (2009). Brain rules: 12 principles for surviving and thriving at work, home, and school (p. 80). Seattle, WA. Pear Press.